Facial Fitness is an essential part of the 21st century modern beauty and fitness routine. It is made up of a specific combination of facial workouts, stretches and massages. 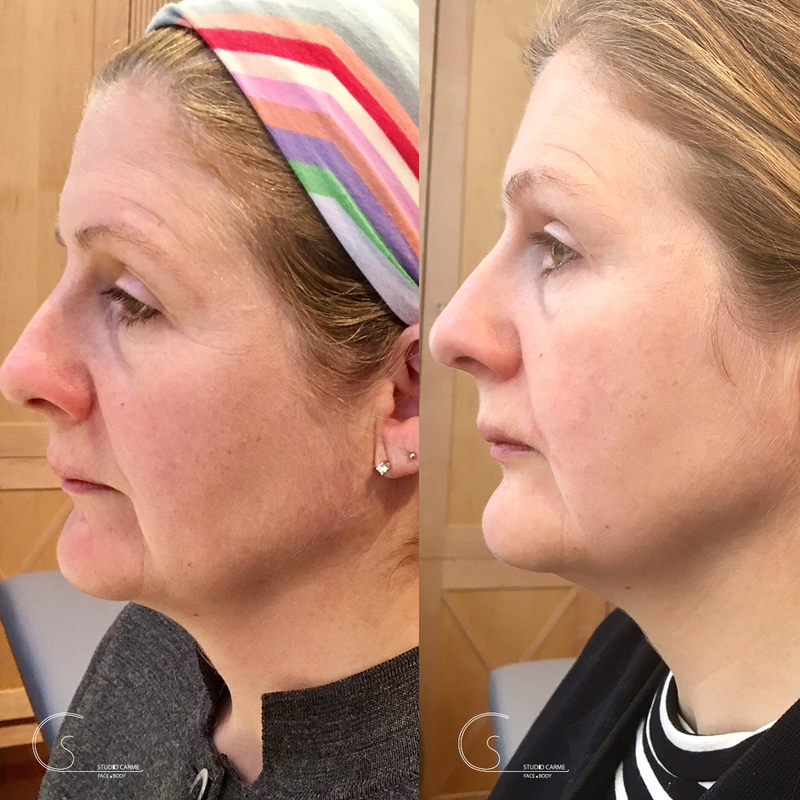 As a result, these facial exercises are a life skill for anyone who is looking for a natural, non-invasive, anti-ageing treatment to help them age gracefully. They can be done anytime and anywhere. It is an organic process, consequently we don’t use any chemicals, nor are there any side effects. Most importantly it is never too late to start and the impact can be seen in people in their 30’s right up to those in their 70’s and beyond. 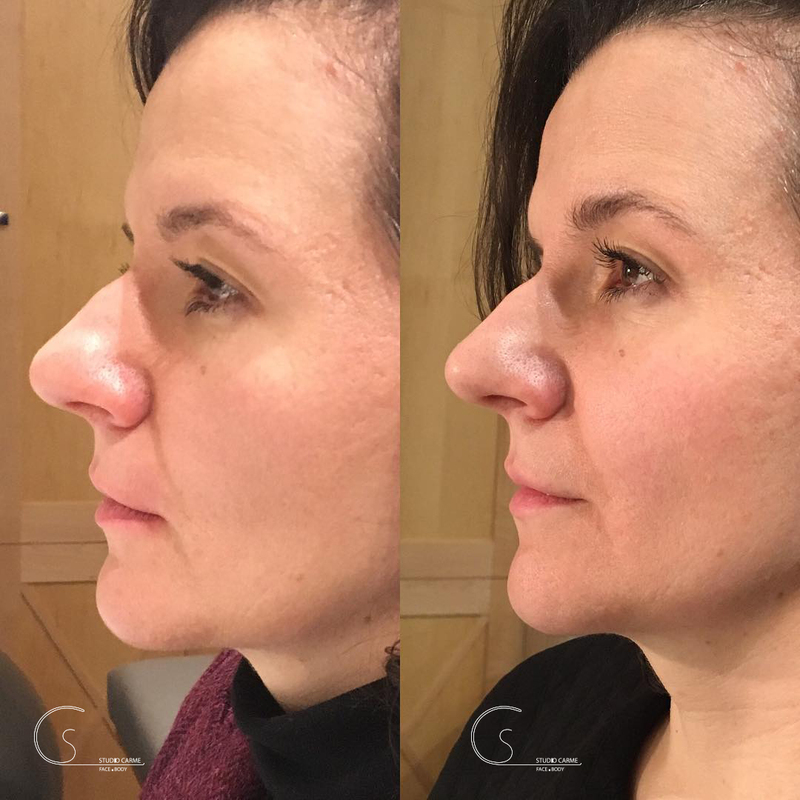 The result is a younger appearance through a natural face lift, maintaining the very essence of the person but giving them a timeless beauty. The exercises target the muscles underneath the skin and therefore the skin looks firmer and younger. 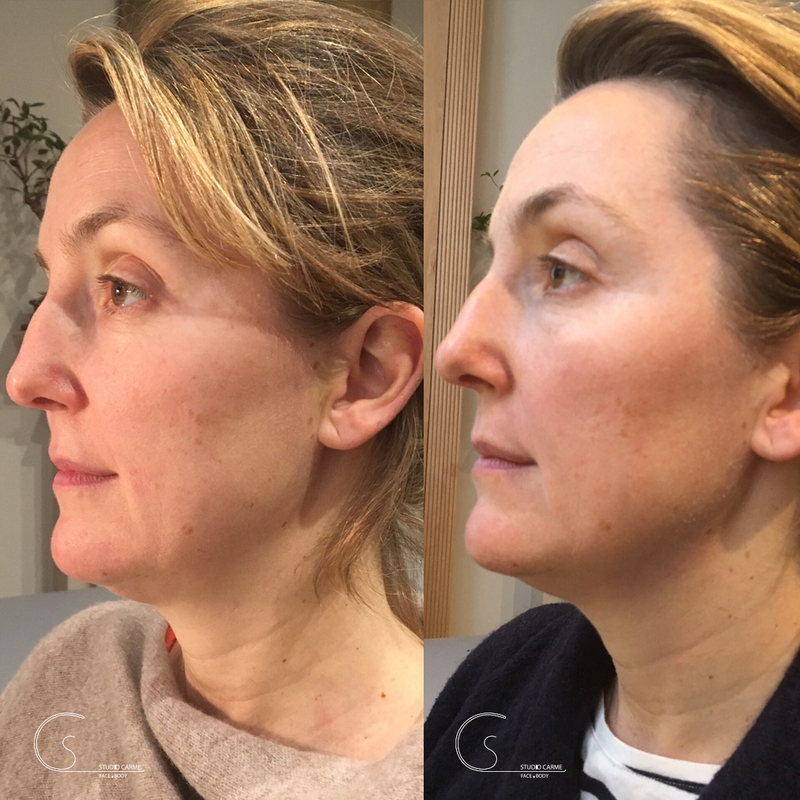 “I had a great time learning how to do facial exercises with Carme. The program is well structured and you learn little by little how to separately use the various muscles in your face. Carme’s instructions are very clear and I did not find it difficult to follow. I think this is a great tool to have for life as you get older. 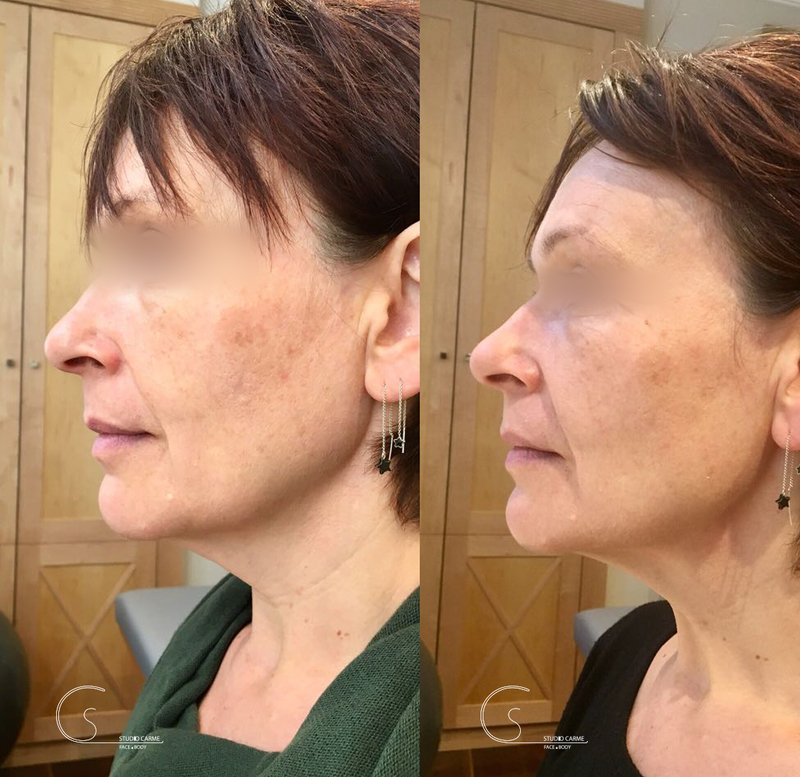 My husband has been telling me how beautiful I look lately, so it’s definitely working!” – Mid 30’s Client. WHAT ARE THE BENEFITS OF FACIAL FITNESS? Your face is your identity, we don’t want to change who you are, but to keep it as timeless as possible. Facial Fitness exercises empower you to take control of the ageing process. When we feel in control and appreciate our appearance, our self-esteem and confidence naturally increase, we feel great about ourselves. 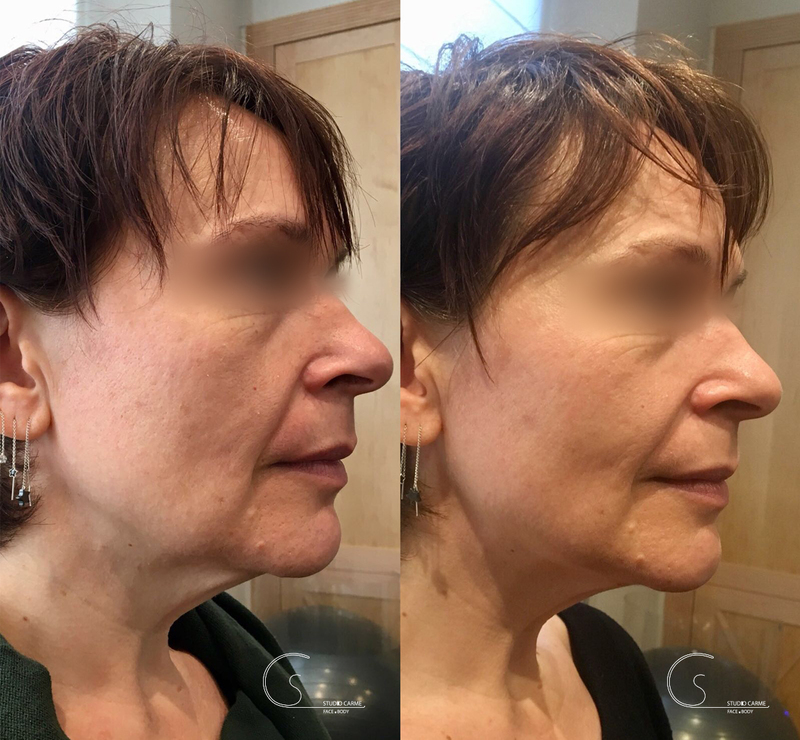 My exercises can be used as a rehabilitation technique to balance the face and also after a stroke or illness that may affect your facial muscles. 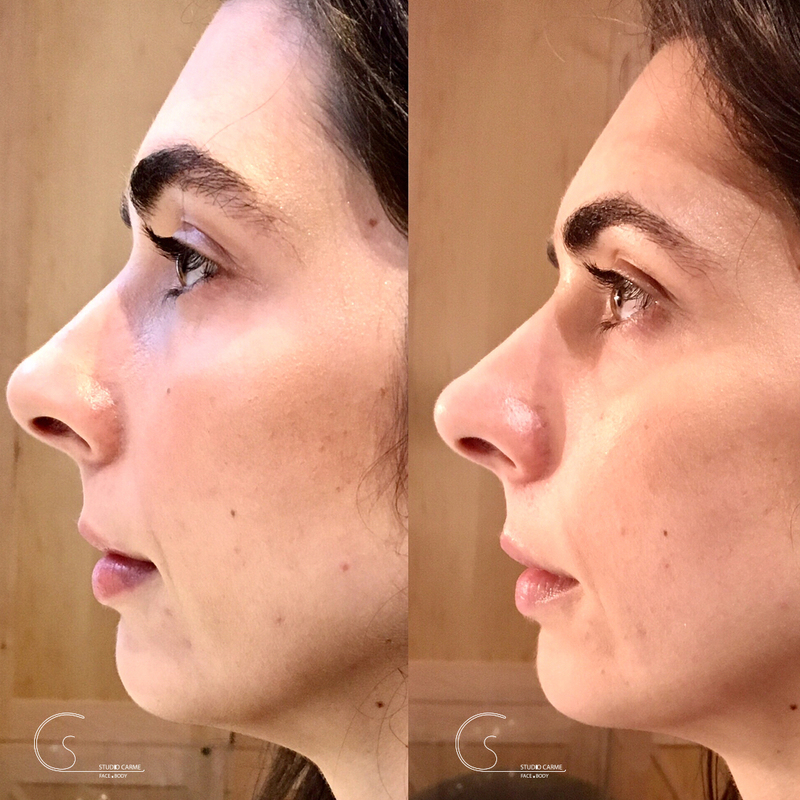 Similar to the body, when I teach Pilates for the face I analyse the facial imbalances and we work on strengthening the side of the face that is weaker versus the stronger side. It requires experience to identify the imbalances and then to adapt the exercises to tackle the unbalanced facial muscles. Technique and frequency is key for the muscles to keep fit and in great shape. 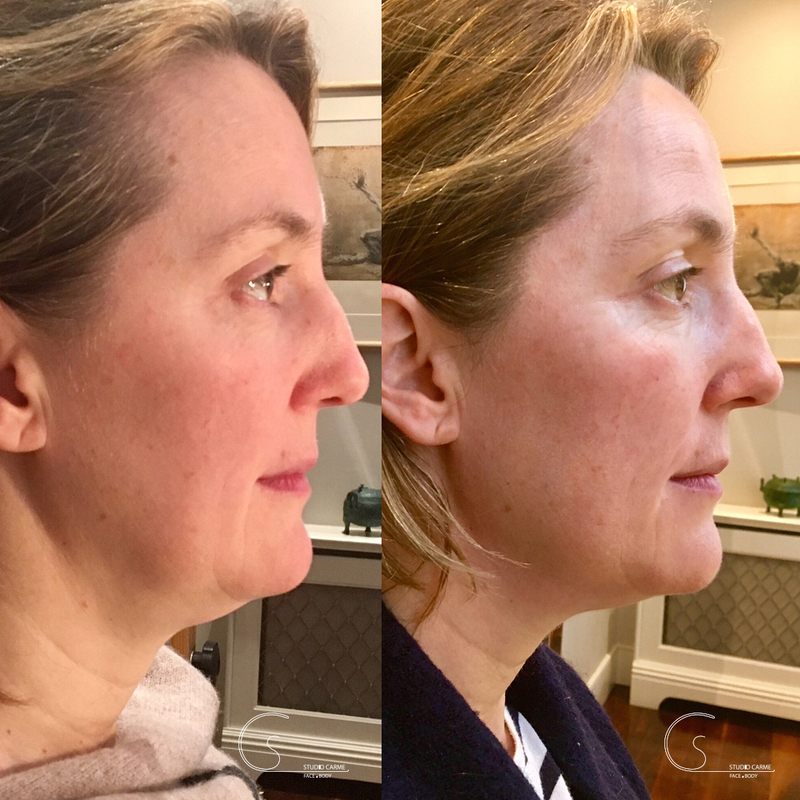 Just like our bodies, the real benefit is visible only after 8 weeks, as you can see in the before and after photos of some of Carme Farre’s Facial Fitness clients. The results speak for themselves and will surprise most! Why pilates works so well on the face? After only 8 weeks my technique delivers a natural face-lift, gently lifting the face along with stretching the skin. The faces are gently lifted and the skin is stretched. This gives my clients a glowing skin, making them look 10 years younger. Why does my technique work? The answer is: Pilate’s transforms the rest of our body in a short amount of time and the same applies to our face. The musculature of our body and face does not change volume or toning by simply stretching or massaging. We must actively engage the muscles. The only way to do this is by exercising them. Pilates delivers the best results. You are in control, so you can do the exercises anywhere and anytime (at least initially in front of a mirror to ensure you get the exercises right). The structure of the workouts is key for my clients to learn the routines easily and fast. The workouts are divided into beginner, intermediate and advanced series and also by the intensity and length of the workouts. How does my technique work on the facial layers? The facial exercises work the musculo-aponeurotic and retaining ligaments of the skin. Through facial massage, the subcutaneous layer is activated by increasing blood circulation. This allows more oxygen and more nourishment to reach the cells of the skin. The result is a glowing skin. The face looks healthier and younger, the collagen and elastin is stimulated, there are less toxins and overall it looks tighter. The focus of the exercises is on the underlying muscles rather than the skin, therefore the results last longer. With only 15 minutes of regular exercise, we deliver longer lasting effects, compared to other techniques. What is included in my technique? 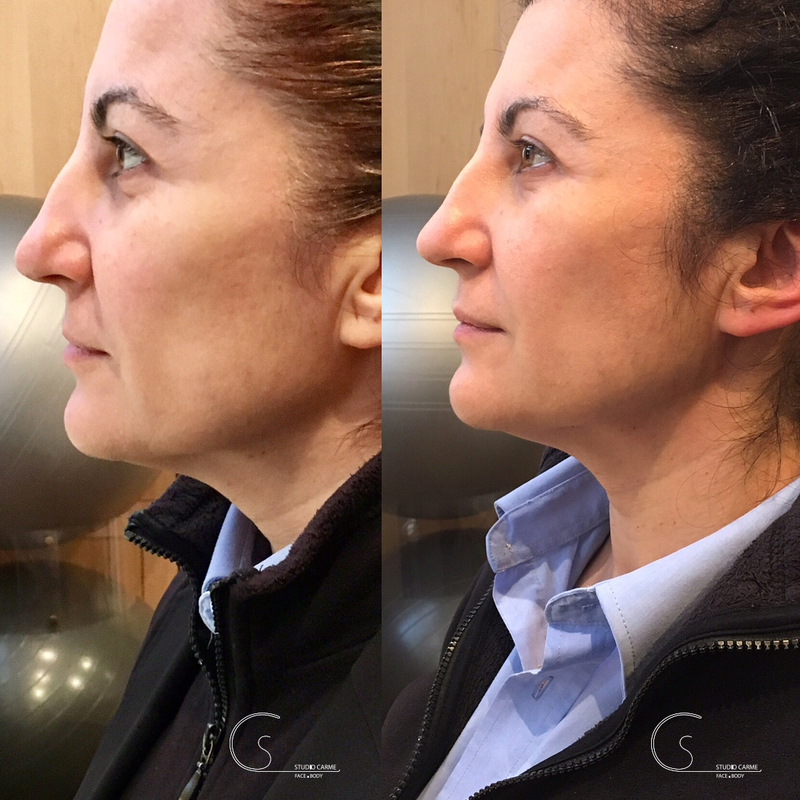 The precision of Pilates as the fundamental basis of my facial fitness exercises, ensures each muscle is targeted efficiently. Isometric (building tension whilst not changing the length of the muscle) and isotonic (concentrically shortening muscles, making them work and eccentrically generating force as muscles lengthen) repetitions to deliver quick results. As with Pilates for the body, we combine stretching for the face along with the exercise. Adding the face massage at the end of each work out helps the facial muscles to relax and remove toxins. You only need your fingers and gloves – no other tools are used. Online support is essential while learning to understand the precision of the movements – the extensive list of videos available to clients from beginner through to expert ensures clients stay on track. The quick and visible results motivate people to practice regularly. What are the signs of ageing and how to reverse them? Our face starts to show some ageing in our 30’s with the first wrinkles, such as the vertical lines next to the lips and wrinkles on the forehead. Then, as we reach our mid 40’s, some of the other signs of facial ageing become visible. As we reach our 50’s and 60’s these signs become more prominent. Forehead: frown lines deepen, horizontal lines appear. Eyes: upper and lower eyelids begin to sag and crow’s feet develop around the eyes. Cheeks: lose their fullness so appear more sunken. Mouth: vertical lines begin to appear and deepen around lips. 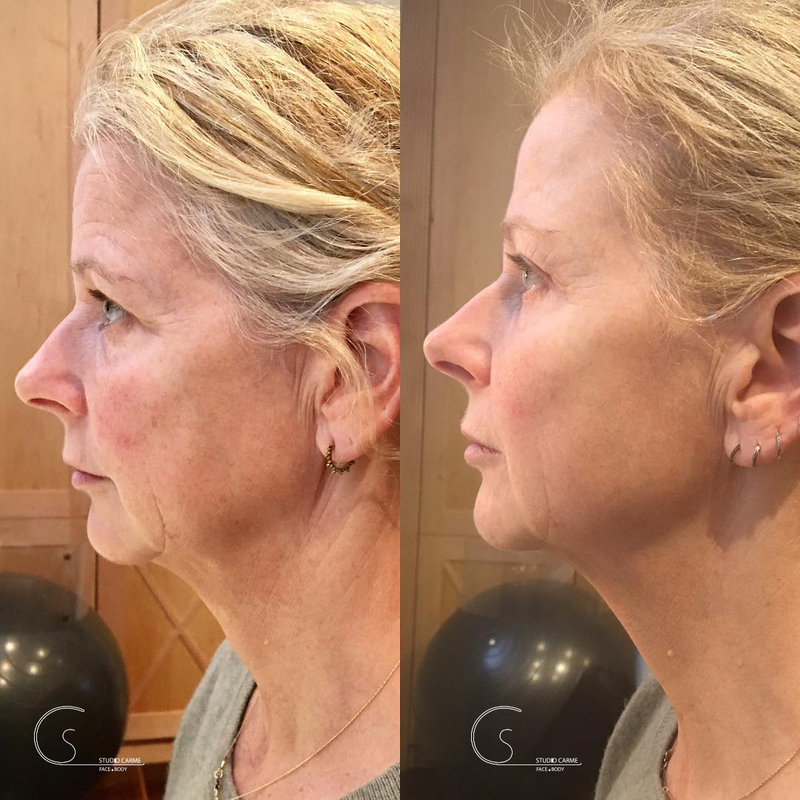 Jawline: lose contours around the jaw and develop double chin. How can we reverse the signs of facial ageing? We look at our face and the first thing we see is our superficial skin with all the imperfections that time and weather conditions bring. However, underneath the skin, between the face and neck we have over 60 muscles that can be trained just like any other part of the body. In our face, we have superficial and deeper muscles which overlap. This is the key difference between the muscles of the body and face and as it is very difficult to reach each individual muscle of the face to tone them. Therefore the anatomic complexity of our face makes it essential to have the right type of exercises targeting the ‘core facial muscles’ and others to tone the superficial ones. The appearance of facial ageing is more about the sagging of the muscles underneath the skin, than simply wrinkles on the skin. Facial fitness doesn’t replace skin care. It works in tandem. Skin care provides moisture to help reduce the appearance of wrinkles, but creams do not improve the face’s underlying muscle structure. Therefore, using a gentle facial workout is the only natural solution to avoid the sagging of your jaw and neck. As a result these facial workouts increase the volume and tone of your skin to make your skin look younger and fresher. Moeover they also automatically start to smooth out the wrinkles above the muscles being worked. 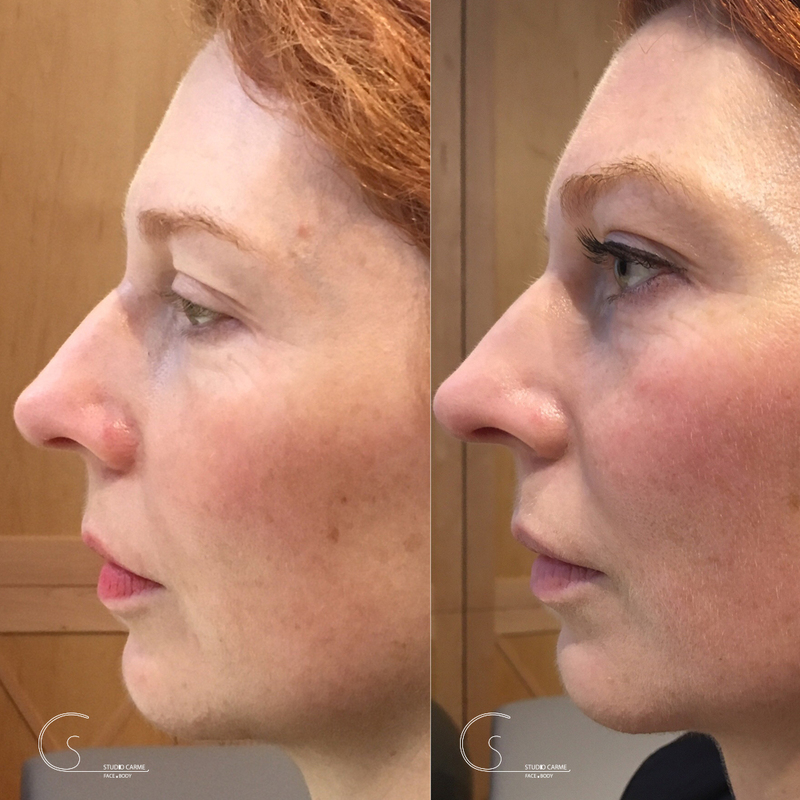 Read more: Can You See the First Signs of Facial Ageing? What do you need to know about the Facial Fitness Class? 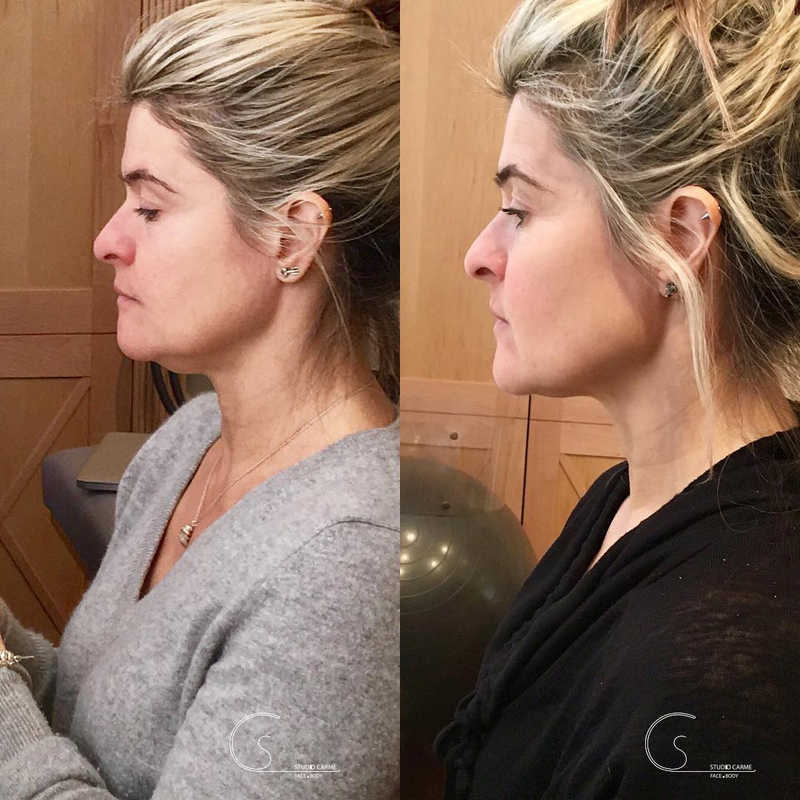 Carme Farre started to teach Facial Exercises in 2013. She started her journey training to exercises the facial muscles, then added Pilates principles to the exercises. She has a deep understanding of the anatomy of the face and its underlying muscles. The result is an innovative technique based on facial anatomy and control of the movement of most facial muscles.